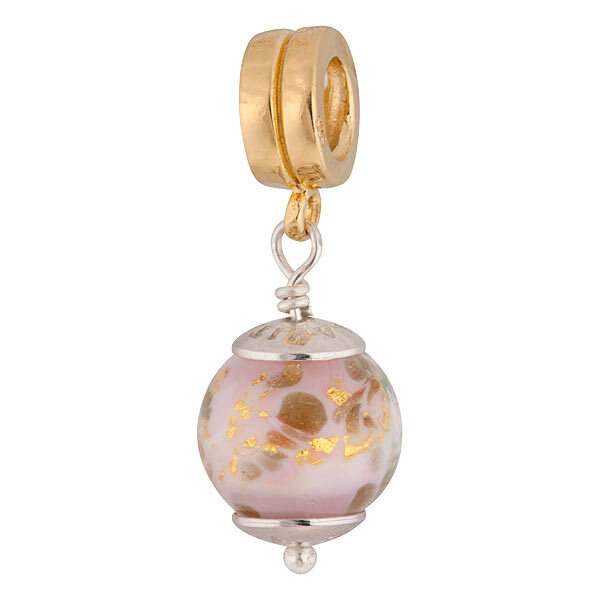 Marmo is the Italian word for marble, as well as the inspiration for the Murano glass bead on this PERLAVITAô charm. Featuring swirls of pink and white, accented with aventurina and gold foil, this charm is nearly an inch in length and hangs from a vermeil bail. The threaded core makes this charm compatible with PERLAVITAô jewelry as well as Pandora and Chamilia charms and beads.